Last Christmas, William Lane Craig gave an interview to the New York Times. Todd Friel has just released a reaction video to the answer, ranting that Craig is only "reasonably" convinced about the virgin birth, and not absolutely convinced. obviously, false teachings need to be called out. However, I'm far from convinced that this is a case of false teaching at all. Friel argues that Craig's reply implies a rejection of Biblical inerrency. Of course, holding the view of Biblical inerrency implies to be absolutely convinced about each and every claim the Bible makes. But as an apologist and philosopher, Craig rarely has the luxury to be able to argue with Biblical inerrency to defend Christian views. He has to rely on other factors from history, science, logic etc. And taking all these other factors into account, it's much easier to be convinced about Biblical claims such as the resurrection of Jesus, or the creation of the world, than the virgin birth, which is not corroborated by anything outside Scripture. Anyway, that's how I interpret his answer. Now the question: is Todd Friel right, or did he overreact? Jan said: Now the question: is Todd Friel right, or did he overreact?" CM Response: If Craig is quoted accurately, he was signaling the method of higher criticism (the historical critical method) a.k.a "principle-based approach". He reflects what appeared during the nineteenth century, what is now called modern historical criticism of the Bible was then called higher criticism. Treat it with a level of skepticism or at least accept it only tentatively. Treat it with the possibility of revision (i.e., do not believe everything you hear or read in Scripture). Skepticism is the key to establishing truth. Therefore as one approaches the Bible, one must begin with suspicion rather than trust. (a). Regards biblical texts as human products. (b). Analyses the texts in the languages in which they were originally penned. (c). Examines them within their historical contexts. (d). Accepts the new scientific worldview that emerged in the seventeenth century. (e). Refuses to be constrained by ecclesiastical authorities. (f). Is informed by the findings of modern philology, phonology, morphology, lexicology, and syntax. Two people that uses this method George Ladd and John B. Cobb. In his newest book relating to Jesus’ Abba, Cobb explains in the preface the way in which he intends to interpret Scripture, which clearly matches that of the historical critical method. -- Kennedy, Philip. 2006, A Modern Introduction to Theology: New Questions for Old Beliefs. London: I.B. Tauris. -- John B. Cobb, Jesus' Abba: The God Who Has Not Failed (2016), xiv. Thanks! I would have thought that applying the historical-critical method to the virgin birth would have resulted in rejecting this miracle (due to an alleged "mistranslation" of young maiden as virgin). The historical-critical method does not presuppose the supernatural ("(d). Accepts the new scientific worldview"), whereas William Lane Craig in his response does ("Given the existence of a Creator and Designer of the universe"). As for (a), (b), (c), (e) and (f) I see no major problems from an evangelical perspective. Just leave out (d), and add to (a) that Biblical texts are human products under the inspiration of the Holy Spirit, and this ruleset starts to look a lot more helpful to understand Biblical texts correctly in their historical context. Specific to your question, Jan, I think it's fair to say that Friel overreacted, and that his overreaction is rooted in his failure to adhere to the value of in-context quotation of others that he claims to hold. 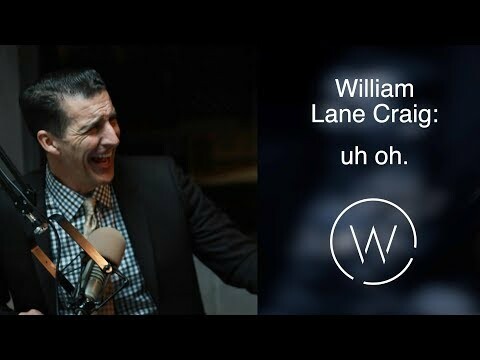 Friel introduces his quotation of a New York Times interview with William Lane Craig by saying "I'm not trying to take (Lane) out of context," but then proceeds to do exactly that by reading only the first sentence of the larger comment you supplied in-full in your post. That is, Friel quotes Lane as saying that he's "reasonably confident" that Jesus was born of a virgin - a comment that sparks protests from both Friel and his on-air guest - but then does not FINISH Lane's thought - namely, that for a God who could create a universe, the miracle of virginal child birth would be "child's play." "So what's the problem?" Lane asks at the end of his response. The problem is that Friel chose not to quote Lane in fuller context. Of course I didn't give Friel's context comment its proper context. Immediately after saying that he's not trying to take Lane out of context, Friel says he's calling attention to the more "eyebrow-raising" aspects of Lane's response. I propose that Lane's comment about his being "reaonably confident" was so eyebrow-raising to Friel because Friel didn't quote Lane in fuller context. FULL DISCLOSURE: Some readers of this post will recall, correctly, that I am on record as believing Jesus was NOT born of a virgin. My response in this current post reflects only my response to Jan's question and the video segment provided in the OP, and in no way refers to or builds upon my views of the virgin birth issue. Bill said: "FULL DISCLOSURE: Some readers of this post will recall, correctly, that I am on record as believing Jesus was NOT born of a virgin. My response in this current post reflects only my response to Jan's question and the video segment provided in the OP, and in no way refers to or builds upon my views of the virgin birth issue." NT claims of Jesus' virgin birth are found only in Matthew and Luke. I find that hard to comprehend given the magnitude of the asserted truth - that Jesus was conceived with the help of the Spirit, not a human father. Such a claim - AT LEAST as profound as reports that Jesus performed miracles - would surely have captured the imagination and proclamation of the apostles and the later Gospel writer, John. But it shows nowhere in Paul's work, in Peter's work, or in John's work (nor in Mark's gospel). I think it's especially telling that John's gospel makes no mention of a virgin birth. What a great partner such a claim would have made for John's theologically matured portrait of Jesus. But it's not there. Perhaps most telling of all is the fact that Jesus himself says nothing of his virgin birth. He claims to be God's son, the chosen one of the God, but he does not claim to be the product of God's seed. Akin to the impact it would have had in John's gospel, such a claim would have been a powerful addition to Jesus' self-description; but it's not there. Matthew's quotation of Isaiah 7.14 (in Matthew 1.23) indeed uses the Greek Septuagint's misapprehension of the original Hebrew text. The Hebrew word "almah" does NOT necessarily mean the woman is a virgin; it means the woman is young and of marriageable age - a person who could be, but isn't necessarily, a virgin. To reconfigure William Lane Craig's quoted assessment of God's capabilities (see OP) any God who could create a universe could also find a way to bring a savior to the world without a virgin birth. So that I'm clear: I believe the virgin birth accounts in Matthew and Luke are faithful attempts to tell the story of Jesus, attempts that employ the information and theological priorities of each writer. And I think it is very likely that each writer believed that the virgin birth was a historical fact. For many reasons, including those stated in items 1-5, however, I don't believe such a birth happened. Let me be clear the historical-critical method excludes the supernatural and instead seeks natural causes for historical events. This, in my view, likewise covers the "virgin birth" and all "miracles. The central presupposition of the historical critical method is the principle of criticism, according to which nothing is accepted at face value, but everything must be verified or corrected by reexamining the evidence. The word “criticism” is used here in its technical sense of Cartesian “methodological doubt.” This explain the doubt of belief in the virgin birth. This method hijacks truth as revealed in God's Word. -- Edgar Krentz. The Historical-Critical Method, Fortress Guides to Biblical Scholarship (Philadelphia: Fortress, 1975), pp 56-57. Each of the Gospel writers weren't required and didn't mentioned everything. Some left things out what the other included and emphasize others. That is the purpose and richness of this work. The Lord's doing, marvelous in my eyes. Your points 1-2 goes up into smoke when one consider the writers, his education, culture, the times and his intended audience. "But to all who received him, who believed in his name, he gave power to become children of God, who were born, not of blood or of the will of the flesh or of the will of man, but of God" (NRSV). Read the article by John W. Pryor, who draws from the work of Peter Hofrichter, considering that John 1:13, contains a reference to Jesus and the incarnation. -- John W. Pryor. "Of the Virgin Birth or the Birth of Christians? The Text of John 1:13 Once More," NovT 27 : 312-13). I do not contend that all Gospel writers must report the same incidents (though the fact that more than 95% of the content of Mark is in Matthew, and nearly 90% of Mark is in Luke suggests an obvious interrelationship between those three Gospels). I contend that a virgin birth is an incident that Mark and John would have included had they known about it. That a virgin birth is NOT found in either of those Gospels, nor anywhere else in the NT, in my view suggests strongly that it was not widely known or believed in the early Christian community. Because you don't elaborate on this point, I don't know what it means or why it matters. Please say more. In context, John 1.13 does NOT refer to any form of physical birth, but rather to a form of spiritual rebirth, one that comes to those who believe (John 1.12, ESV) in the name of the one calls the "true light." (John 1.9) Said spiritual rebirth obviously must come to one already physically born because one not already born could not have the capacity to receive the light or believe in his name. I agree that John's prologue refers to the human Jesus. In my view, for John, Jesus is the one in whom God's "Word" (logos) became flesh and lived among us. Bill, it seems your not believing in the virgin Birth is the symptoms of something deeper when it comes to the Bible. You seemed to have bought into some faulty theologies and definitely have embraced the historical-critical method of interpreting of the Bible. This method has cast doubt on the biblical Jesus, the virgin birth, Jesus being the Son of God, his crucifixion, resurrection, the empty tomb, ascension, and second coming. This method if you don't watch it, you would soon be questioning whether God exists at all. These things are not new. Your embrace appears to go back to the end of the 19th century and the beginning of the 20th century, when liberal Protestantism succeeded in dominating theology. The biblical understanding of revelation and inspiration was virtually rejected, and Scripture became a purely human product. Miracles and resurrection were unacceptable. More can and needs to be said. In my view, your summary that the method "has cast doubt on the biblical Jesus" is true in some senses, to some interpreters. Your concern that if I "don't watch it," I'll "soon be questioning whether God exists at all" is baseless - at least it has no demonstrated connection to me, my faith, my spiritual journey, or my relationship with God. It comes off to me as a warning to an audience of which I am not a member. Put more simply, you don't know me or my relationship with God, so I think your posting time would be better invested were you to comment on issues rather than on me or other posters. 2) Starting on the line below the @+user's name, copy and paste the specific section of the post to which you want to respond. 3) Use your mouse or keyboard to select (highlight) the lines in the editor from the @+username through the last line of the pasted text. Click the paragraph icon just to the left of the editor window, and from the resulting options menu, click the quotation mark. The quoted text and its poster's username will now have a grey vertical bar along their left edges. 4) Use the down arrow key or perhaps the "Enter" key to move your cursor a line or more down from the quoted section and then type your response. You may use that method an unlimited number of times to quote and respond to multiple sections from within a post. Hope that helps. Ask away if it doesn't. Bill said: "Your concern that if I "don't watch it," I'll "soon be questioning whether God exists at all" is baseless - at least it has no demonstrated connection to me, my faith, my spiritual journey, or my relationship with God. It comes off to me as a warning to an audience of which I am not a member. Put more simply, you don't know me or my relationship with God, so I think your posting time would be better invested were you to comment on issues rather than on me or other posters." Retrace your steps! You did it right once. You can do it again!